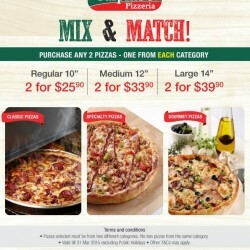 Sarpino’s Pizzeria is having a Mix & Match promotion. 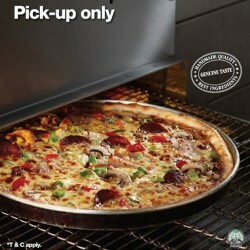 Order any 2 of their pizzas from any category starting at $25.90! 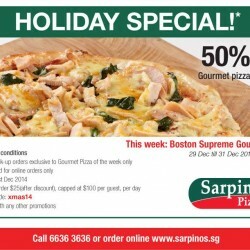 Enjoy 50% off any Pizza pick-up orders from Sarpino's! Simply Like their Facebook page and print the coupon!